The terms and conditions stated in this Terms of Service Agreement ("Agreement") govern your use of the CashLoan.org loan matching service ("Service"), as made available through the Site. Before downloading, accessing, or using any part of the Service, you should carefully review the following Agreement. We provide the Service to you only on the condition that you accept and agree to all of the terms and conditions stated in this Agreement. This Agreement will take effect at the moment you submit your application ("Application") to be matched with one or more lenders participating in our network of payday lenders ("Lender"), and/or begin downloading, accessing, or using the Service, whichever is earliest. All references herein to "we" mean CashLoan.org, including its successors and assigns, which operates the Site and the Service. All references herein to "Applicant" or "you" refer to any user of this Site and the Service. 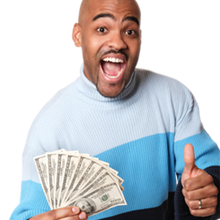 CASHLOAN.ORG IS NOT A LENDER, DOES NOT BROKER LOANS, AND DOES NOT MAKE CASH ADVANCES OR CREDIT DECISIONS. THIS SITE DOES NOT CONSTITUTE AN OFFER OR SOLICITATION TO LEND. WE WILL SHARE YOUR APPLICATION INFORMATION WITH ONE OR MORE LENDERS. WE DO NOT GUARANTEE THAT YOU WILL BE MATCHED WITH A LENDER OR ANY PARTICULAR LOAN PROGRAM OR THAT YOU WILL RECEIVE A LOAN. WE DO NOT GUARANTEE THAT THE PRICE, PRODUCT, AVAILABILITY, RATES, FEES, OR ANY OTHER LOAN TERMS OFFERED AND MADE AVAILABLE BY LENDERS THROUGH THIS SERVICE ARE THE BEST TERMS AVAILABLE IN THE MARKET. NOT ALL LENDERS PARTICIPATING IN THIS SERVICE CAN PROVIDE YOUR REQUESTED LOAN AMOUNT OR THE MOST FAVORABLE REPAYMENT TERMS. LENDER MAY PERFORM A CREDIT CHECK TO DETERMINE YOUR CREDITWORTHINESS. You must be at least 18 years of age (or the age of majority in your state of residence) to set up an Account. If you provide any false, inaccurate, untrue, or incomplete information in your Application, we may immediately terminate your access to and use of the Service. It is your responsibility to keep the confidentiality of any username(s) and password(s) associated with your Application. THE SERVICE IS NOT AVAILABLE TO RESIDENTS OF AR, GA, NY, OR, AND WV OR TO ACTIVE MEMBERS OF THE MILITARY. 3. CashLoan.org Email Protection Service. When providing your Application information to Lenders, we may provide a substitute e-mail address to the Lender as your e-mail address to reduce the potential for unwanted e-mails and spam. We will forward any legitimate e-mails related to your loan or application sent to this substitute e-mail address for a reasonable period (at least [six months] following the date of your Application). You understand that through this substitute e-mail address, we may have access to information regarding any loan made to you by a Lender or other correspondence sent to you by the Lender. We may also, at any time, provide Lenders with the actual e-mail address you provided on your Application. We are not responsible for any failure or delay in providing the Service caused by errors, inaccuracies, or falsity in any of the Application information provided by your or by any technical problems beyond our reasonable control. We are not an agent of you or any Lender. We are not involved with the Lender's review and/or use of your Application information or in making a determination about whether you meet a particular Lender's loan qualification criteria. We do not recommend or endorse the products of any particular lender. The Lender is solely responsible for its services to you, and you agree that we shall not be liable for any damages or costs of any type arising out of or in any way connected with your use of the Service. You understand that Lenders may keep your Application information for their own business and marketing purposes, whether or not you qualify for a loan with them. This Agreement provides to you a personal, revocable, limited, non-exclusive, royalty-free, non-transferable license to use this Site conditioned on your continued compliance with the terms and conditions of this Agreement. Notwithstanding the foregoing, you may not modify, translate, decompile, create derivative work(s) of, copy, distribute, disassemble, broadcast, transmit, publish, remove or alter any proprietary notices or labels, license, sublicense, transfer, sell, mirror, frame, exploit, rent, lease, private label, grant a security interest in, or otherwise use in any manner not expressly permitted herein the Site. Moreover, you may not (i) use any "deep link," "page scrape," "robot," "spider," or other automatic device, program, script, algorithm, or methodology, or any similar or equivalent manual process, to access, acquire, copy, or monitor any portion of this Site or in any way reproduce or circumvent the navigational structure or presentation of this Site to obtain or attempt to obtain any materials, documents, or information through any means not purposely made available through the Site, (ii) attempt to gain unauthorized access to any portion or feature of this Site, including, without limitation, the account of another Applicant or any other systems or networks connected to this Site or to any of our servers or to any of the services offered on or through the Site, by hacking, password "mining," or any other illegitimate or prohibited means, (iii) probe, scan, or test the vulnerability of this Site or any network connected to the Site, nor breach the security or authentication measures on this Site or any network connected to the Site, (iv) reverse look-up, trace, or seek to trace any information on any other User of or visitor to the Site, (v) take any action that imposes an unreasonable or disproportionately large load on the infrastructure of this Site or our systems or networks or any systems or networks connected to the Site, (vi) use any device, software, or routine to interfere with the proper working of this Site or any transaction conducted on the Site, or with any other person's use of the Site, (vii) forge headers, impersonate a person, or otherwise manipulate identifiers in order to disguise your identity or the origin of any message or transmittal you send to us on or through the Site, (viii) use the Site to harvest or collect e-mail addresses or other contact information; or (ix) use this Site in an unlawful manner or in a manner that could damage, disparage, or otherwise negatively impact us. WITHOUT LIMITING THE GENERALITY OF THE FOREGOING, COPYING OR REPRODUCING ANY SERVICES, PROGRAMS, PRODUCTS, INFORMATION, OR MATERIALS PROVIDED BY US TO ANY OTHER SERVER OR LOCATION FOR FURTHER REPRODUCTION OR REDISTRIBUTION IS EXPRESSLY PROHIBITED. 6. Disclaimer of Warranties, Release, and Limitation of Liability. THE SERVICE AND SITE AND ALL INFORMATION, PROGRAMS, SOFTWARE, AND MATERIALS PROVIDED THEREIN (COLLECTIVELY, "SERVICE INFORMATION") ARE PROVIDED ON AN "AS-IS" AND "AS AVAILABLE" BASIS AND MAY INCLUDE ERRORS, OMISSIONS, OR OTHER INACCURACIES. MOREOVER, WE MAY MAKE MODIFICATIONS AND/OR CHANGES IN THE SERVICE INFORMATION AT ANY TIME AND FOR ANY REASON. YOU ASSUME THE SOLE RISK OF MAKING USE OF AND/OR RELYING ON THE SERVICE INFORMATION. WE AND OUR PARENT, LICENSORS, SUBSIDIARIES, ADVERTISERS, LENDERS AND AFFILIATES MAKE NO REPRESENTATIONS OR WARRANTIES ABOUT THE SUITABILITY, COMPLETENESS, TIMELINESS, RELIABILITY, LEGALITY, OR ACCURACY OF THE SERVICE INFORMATION FOR ANY PURPOSE, AND EXPRESSLY DISCLAIM ALL WARRANTIES, EXPRESS OR IMPLIED, INCLUDING, WITHOUT LIMITATION, ANY WARRANTY OF MERCHANTABILITY, FITNESS FOR A PARTICULAR PURPOSE, OR NON-INFRINGEMENT OR ANY OTHER IMPLIED WARRANTY. WE MAKE NO REPRESENTATION OR WARRANTY THAT THE SERVICE WILL OPERATE ERROR FREE OR IN AN UNINTERRUPTED FASHION OR THAT ANY FILES OR INFORMATION THAT YOU ACCESS FROM THE SERVICE WILL BE FREE OF VIRUSES OR CONTAMINATION OR DESTRUCTIVE FEATURES. Some jurisdictions do not allow the disclaimer of certain warranties or conditions or the limitation or exclusion of liability for loss or damage caused by negligence, breach of contract or breach of implied terms, or incidental or consequential damages. Accordingly, only the limitations which are lawful in your jurisdiction will apply to you and our liability will be limited to the maximum extent permitted by law. You expressly absolve and release us and our Lenders from any claim of harm resulting from a cause beyond our or our Lenders' control, including, but not limited to, failure of electronic or mechanical equipment or communication lines, telephone or other connection problems, computer viruses, unauthorized access, theft, operator errors, severe weather, earthquakes, or natural disasters, strikes, or other labor problems, wars, or governmental restrictions. YOU EXPRESSLY UNDERSTAND AND AGREE THAT WE AND OUR PARENT, LICENSORS, SUBSIDIARIES, ADVERTISERS, LENDERS AND AFFILIATES OR ANY OF OUR OR THEIR OFFICERS, DIRECTORS, AGENTS, EMPLOYEES, SUCCESSORS, ASSIGNS, OR SERVICE PROVIDERS SHALL NOT BE LIABLE TO YOU FOR: (A) ANY DIRECT, INDIRECT, INCIDENTAL, SPECIAL, CONSEQUENTIAL OR EXEMPLARY DAMAGES WHICH MAY BE INCURRED BY YOU, HOWEVER CAUSED AND UNDER ANY THEORY OF LIABILITY, ARISING OUT OF OR IN ANY WAY CONNECTED TO THE USE OF THIS SITE, THE SERVICE, OR ANY INFORMATION, SOFTWARE, PRODUCTS, AND SERVICES OBTAINED THROUGH THE SITE, WHETHER RESULTING IN WHOLE OR IN PART FROM BREACH OF CONTRACT, TORTIOUS BEHAVIOR, NEGLIGENCE, STRICT LIABILITY, OR OTHERWISE, EVEN IF WE OR OUR LENDERS HAVE BEEN ADVISED OF THE POSSIBILITY OF DAMAGE. Because some jurisdictions do not allow the exclusion or limitation of liability for consequential or incidental damages, the above limitation may not apply. You hereby agree to indemnify and hold us harmless against any claims made by you or your successors arising out of or related to any violation of federal, state or local laws relating to any loan that you receive through the Service or your interactions with any Lender with whom you were connected through the Service. We may temporarily or permanently stop providing the Service (or any features within the Service) to you, or terminate this Agreement, at any time if (a) you have breached any provision of this Agreement, (b) we are required to do so by law, (c) we believe, in our sole discretion, that you have committed fraud with respect to your access to and use of the Service, (d) the Lender or other business partner with whom we offer the Service to you has terminated its relationship with us, (e) the provision of the Service to you by us is, in our sole opinion, no longer commercially viable, or (f) we are no longer providing the Service to customers in the jurisdiction in which you reside or from which you use the Service. Termination is effective without notice. 8. Governing Law; Dispute Resolution. This Agreement will be governed by and construed in accordance with the laws of the State of California, without regard to principles of conflicts or choice of law. All disputes arising out of or related to this Agreement, including the scope, the construction or application of this Agreement, shall be resolved by arbitration in accordance with the commercial arbitration rules of the American Arbitration Association then in force. The arbitration hearings and all meetings pursuant to this section shall be held in Los Angeles, California and judgment on the arbitration award may be entered into any court of competent jurisdiction in Los Angeles County, California. No arbitrator shall have the power to award damages in connection with any Dispute in excess of actual compensatory damages and shall not multiply actual damages or award consequential, punitive or exemplary damages, and each party irrevocably waives any claim thereto. The agreement to arbitrate shall not be construed as an agreement to the joinder or consolidation of an arbitration under this agreement with an arbitration of disputes or claims of any non-party, regardless of the nature of the issues of disputes involved. THESE TERMS PROVIDE THAT ALL DISPUTES BETWEEN YOU AND US WILL BE RESOLVED BY BINDING ARBITRATION. THUS, YOU GIVE UP YOUR RIGHT TO GO TO COURT TO ASSERT OR DEFEND YOUR RIGHTS. YOU ALSO GIVE UP YOUR RIGHT TO PARTICIPATE IN OR BRING CLASS ACTIONS. YOUR RIGHTS WILL BE DETERMINED BY NEUTRAL ARBITRATORS AND NOT A JUDGE OR JURY. By using our Service, you consent to these restrictions. In the event the arbitration provisions herein become inapplicable or unenforceable, or in any instance of any lawsuit between you and us, you agree that jurisdiction over and venue of any suit shall be exclusively in the state and federal courts sitting in Johnson County, Kansas. You agree that regardless of any statute or law to the contrary, any claim or cause of action arising out of or related to use of the services must be filed within one (1) year after such claim or cause of action arose or be forever barred.